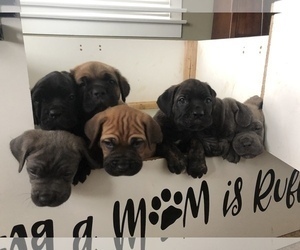 AKC, ICCF registered Cane Corso’s, these little beauties have grand champion and champion bloodlines, colors are blue brindle (grey), tan brindle, black brindle and Fawn. Parents have awesome temperaments. 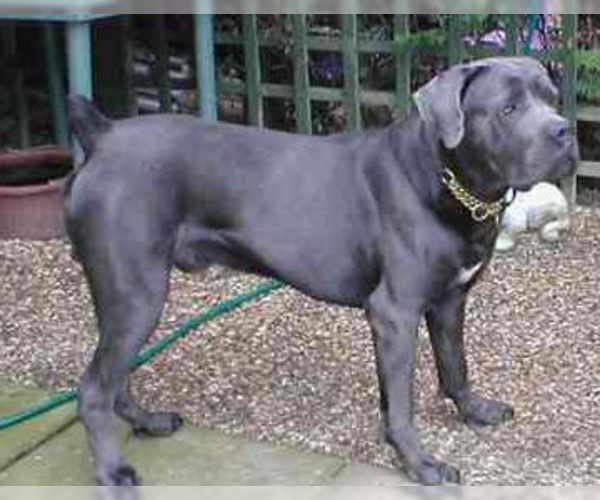 Cane Corso’s are Great dogs that love to love and protect their family. 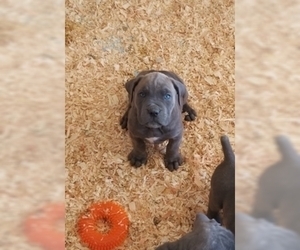 They have a fierce natural protective instinct that will keep your family and home safe! They are easily trainable amazing dogs. Puppies are almost puppy pad trained. They have had their dewclaws removed and tails docked, they have had their first set of shots and will have a good health check from the vet before they are ready for their loving homes in two weeks. 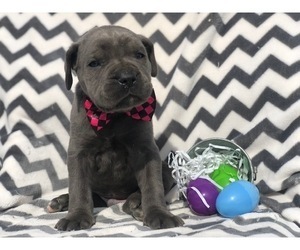 They turned six weeks this past Saturday. 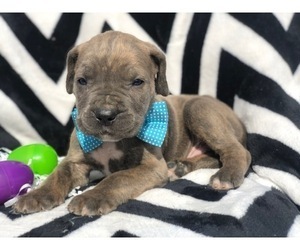 There are 5 males and 4 females available, the price includes full breeding rights. Please call or text if you have any questions.